Story written with notes from Candice So. 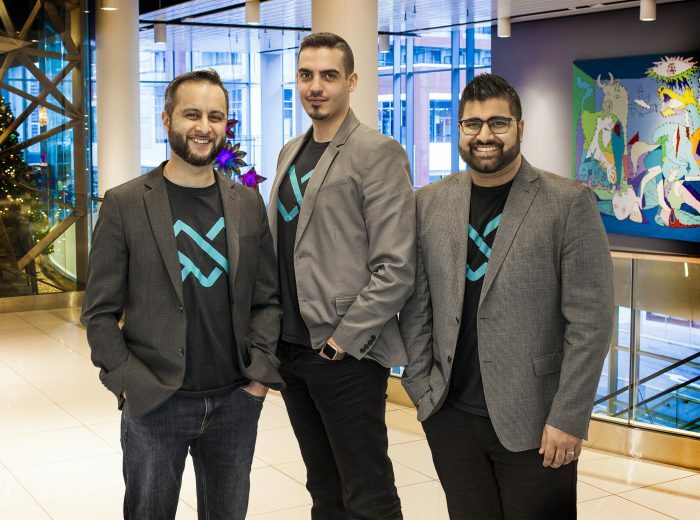 Toronto-based accelerator Extreme Startups debuted its latest cohort of digital entrepreneurs to the world on Wednesday, showcasing four different startups with web-based digital marketing software products. In its past three cohorts, Extreme Startups had featured companies addressing both the consumer market as well as business-to-business. But this time around it was all specifically addressed at the marketing line of business. In a smaller event than past demo days, startups showcased their products and presented them to a room of investors. When considering his field of applicants, Daniels saw four of the top candidates fit into the same digital marketing field and thought it might be an interesting experiment to run them all in one cohort. Investors are keen on the digital marketing space and Canada is seeing some innovation around agencies creating software solutions at first intended to solve their own problems, and then getting funded by venture capital, Daniels says. “In Canada, traditionally we haven’t had the game changer innovator solution company here. I’m slowly seeing the trend of that happening. At least one investor at the event agrees. Stuart Browne, founder of Pycap Venture Partners, says he came to the event to look for potential investment opportunities. Entrepreneurs showcasing their services said they benefitted from the four-month program. Key to the helpful environment is the opportunity to work alongside other entrepreneurs in the same boat, and meet with Extreme Startups’ network of mentors, says Brent Diefenbacher, CEO of ExecNote. Looking to solve the pain point of content marketers who want to measure how effective their message is across multiple digital channels, including myriad social networks and accounts. Rather than leave marketers to the mercy of the IT department to get proper reports drawn out of complicated software products, SqueezeCMM wants to show them if their marketing efforts are effective in the most simple way possible. Headed by former content marketer Jen Evans, the firm already has big brands on board as customers – most notably, HP has signed on for 1,000 seats and a $300,000 commitment. Other paying clients include Bell and Ford. The startup is looking to raise $700,000 to make product improvements and hire senior positions. Connecting Youtube influencers with businesses that want to get out a message, FameBit is looking to help marketers harness the long tail of the web. A self-serve set of tools to find, manage, fund and track Youtube campaigns from the stage of connection with an influencer to delivery of goals. Helmed by CEO David Kierzkowski, the service has three months of traction behind it so far with 400 Youtube campaigns generating 1.5 million minutes of watched video. The firm didn’t mention a specific amount it is trying to raise, but is open to talking with investors. This service is looking to do for sales professionals what HootSuite did for digital marketers. It simplifies social selling to the point that users could spend the first four minutes of their day using the service and still be effective. It uncovers sales opportunities from professional social networks and helps connect sales pros with the content produced by their marketing department to easily share with their networks. The firm has users in more than 50 countries so far, CEO Brent Diefenbacher says. It’s looking to raise $400,000 to release a new version of its recommendation engine and add other new features. A visual commerce platform that tells a brand’s story through the eyes of its customers, specifically with photos and videos that are streamed directly to your e-commerce website. Users of the service browse through photos posted to social media services by their customers and select the best ones to feature alongside product catalogue pages. It is focusing on three verticals for its product, fashion, tourism, and home decor. The firm’s customers so far include Roots, Mejuri, and Angry Birds. It’s currently looking to raise $200,000 to help with sales and marketing efforts, and also wants a third team member to come on board to lead up the sales efforts. Candid is a product of Five Aces, helmed by Dominic Gignac and Nariman Haghighi.